I've exchanged a few emails in the last couple of weeks with Anne Jackson, host of FlowerDust (she's not blogging during Lent by the way) and author of Mad Church Disease: Overcoming the Burnout Epidemic. One of the things I asked her was if she thought introverted pastors and leaders were more susceptible to ministry burnout. She said no, that burnout can inflict people of all personalities and backgrounds, but I still find myself wondering whether introverts are in greater danger. My sense, and experience, is that we need to exercise greater caution and vigilance in self-care, because ministry is such a socially demanding enterprise. 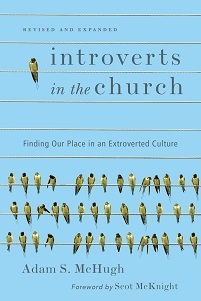 Extroverts, even without proper self-care, may be able to survive an intense period of ministry because of the way their energy flows towards people and experiences. But if introverts lack self-understanding and disciplines to protect themselves, that same stretch of ministry might kill them. 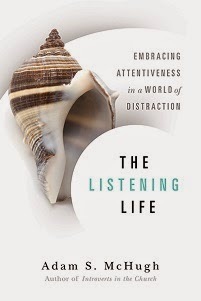 By the way, Anne's book is very engaging, funny, and helpful. She's a great writer and has wonderful insight into ministry, spiritual disciplines, and relationships. And she's an introvert.